Isha opens her introduction to this book by quoting from a poem by LeRoy Clarke, a Trinidadian artist and poet. She explains that the poem depicts the pace, patience and humility that is needed to understand black issues in the therapeutic process. I have always appreciated Isha as a fellow traveller on the very long and painful road towards equality, absence of discrimination and removal of abuses of power between individuals and groups, particularly between those deemed ‘black’ and ‘white’. There is no doubt that that she has been subject to the pace of the journey, has had to be patient and has demonstrated extraordinary humility in her ongoing development as a colleague deeply devoted to the optimum delivery of sensitive, informed and humane psychotherapeutic practice. ➢ The value of having located ‘compassion’ for the many points of view and persons expressing those within this subject. This book, then, represents the author’s accumulated experience of many years counselling, counsellor training and research. Indeed, this text is based upon Isha’s doctoral research and it constitutes a material outcome of and for concerns that have been deeply personal to her own experience in the world, and which, through teaching and the research process, have found wider resonance and validation in the experiences of others, both black and white. The author’s own valuing of creativity is wonderfully demonstrated in her use of chapter titles, selected extracts of poetry, images, and therapeutic examples. This use of creativity is exemplified in her approach to the original research, which I had the privilege to read, and in her work on ‘black issues’ with students and staff on the counselling courses she is involved with. It is further evidenced in the suggestions of methods for counselling and psychotherapy trainers to employ in conducting similar ‘awareness’ raising work. The term ‘black issues’ is usefully defined early in the text and conceptualised within the more frequent attention that has been given, historically, to issues of ‘race’, racism, culture and so on. It is a term that has long been used by Isha and I believe it has now entered the lexicon of trainers and trainees, practitioners and theorists alike as a most useful encapsulating concept within which to explore these complex dynamic phenomena. And Sara Razzaq Bains, who studied the multiple impacts of racism within family and collegial settings. (2008). This book constitutes a most valuable resource to the counselling and psychotherapy field. I trust it will find a wide and appreciative readership. In this profound and inspiring book an African woman speaks her truth and presents an original approach to group psychotherapy. MJ Maher reveals her story as a therapist transforming through the process of bereavement, trauma and her liberation from institutional racism. This is a compelling story and echoes a voice rarely made public and needing to be shared and heard. Others will recognize a story of integrity and self worth. The book is skillfully written and intertwined with life story and the challenges that face therapists who are both committed to their own professional development and the development of the psychotherapy profession. Concern about how racism and diversity are managed in research, therapy and institutional processes underline the clarity with which this book is written. The experience of separation from cultural origins, family and community in addition to loss of loved ones is cited as a location for personal development. Processes of assimilation and interracial relationships create a contextual background for the author’s journey. The author develops psychoanalytical theories such as Bowlby’s attachment theory and Klein’s concept of splitting, drawn from interpretations of the inter-relational process during her journey as a therapist and her experience of confronting institutional racism. 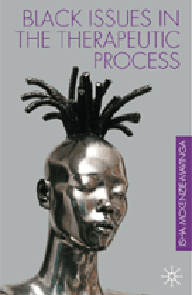 Traditional concepts are intertwined with research experience and the author’s Zimbabwean and racialised heritage. She views ‘The black/White split has dominated and troubled multicultural societies, making it easy to get into the paranoid-schizoid position as a way of coping with anxieties evoked by the split’. P210. Attention to attachment theory and the affect of a secure base as a child and in the therapeutic relationship is given proposing that the internalization process influenced by early care givers can include messages of a racial and cultural context and remain with an individual into adult relationships. The description of inter-cultural relationships and intra and inter-racial processes resonate in many ways with the pain that black individuals and some black therapists endure. These areas of inter-relationship are key to creating an understanding of racism and cultural diversity across the racial divide and within black and White communities. The reader is engaged in a rare peek at these processes in the context of individual experience. There is no sense of washing dirty linen in public, just a holistic picture that gives a sense of the unseen and often unheard black African voice. The book reads as an uncensored account of this individual first generation African female psychotherapist’s reality. It is easy to appreciate the achievements and challenges of the author’s story and travel along with her as she describes her truth. The book is complimented by descriptions of the author’s research, as she owns that being a black African woman, raised in a black community Rhodesia (Now known as Zimbabwe) influenced the way she conducted the research. P291. She uses Shona language and sayings such as the term ‘babamukuru’ denoting the passing of a child into the care of the father’s eldest brother if the child’s father dies. Impressive illustrations also create symbolic representation of psychodynamic insights for example, the choice of the bamboo (Phylostachys nigra) the black hardy bamboo that can survive bitter winters, symbolizing the author’s determination and survival of various life struggles P.321. Her approach reflects the endurance of the psychotherapist and client. An understanding of racism, association with racism and ways of rising above institutional, internal, personal racism and racism in the clinical setting are considered. The author reflects on the issue of her internalized racism in Supervision “ When this was explored in supervision, I realized that with the black patients I acted out my internalized racial stereotypic belief that blacks are poorer than Whites. …….By agreeing to the fee reduction I was confirming the belief that I was not good enough and did not deserve to be paid as much as White therapists that Black therapists are not worth much, are not as good as White therapists, thus devaluing their therapy and myself”. P16.In addition to this, she observed the silence about supervision in response to research questions. This seemed to indicate a reluctance to explore the negative transference. In her words,“ The silence about supervision made me wonder whether there was a problem with it, because I noticed that when participants are not happy about something they fall silent.” P302. This silence has consistently been identified as a behavioral pattern in response to the challenges of discussing racism in psychotherapy training and relational process. However Trainees who spoke about skin colour with various people, particularly their therapists were confident and containing of the “racist” client. The author’s authentic approach to group therapy using symbolic representation of animals from her cultural background and her use of imagination challenges traditional therapists to work outside of the box. She presents a journey through individual and shared experiences whilst skillfully intertwining professional development and engaging the reader in her own transparency. MJ describes her personal research story, exploring the question ‘Can Psychotherapy penetrate beyond skin colour?’ This is a poignant question that is given in depth critical analysis, taking into account the intimate connection between the therapist and researcher. 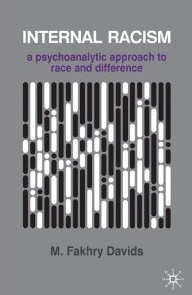 A detailed account of the research preparation and methodology shows the importance of attending to this matter in training and supervision and nurturing training and supervision that address the link between personal development diversity and racism in client material and both black and white therapists’, supervisors and ultimately client experiences. The author emphasizes the importance of thinking about child developmental stages when working with racism an area that is rarely taken into account in Psychotherapy training. This approach, she postulates sets a common ground between therapist and individual, because children know what it is like to feel ignored and this is what marginalization and racism does to individuals. Suggestions about ways of containing and addressing the impact of racism are presented and the importance of recognizing that race is not culture is emphasized. 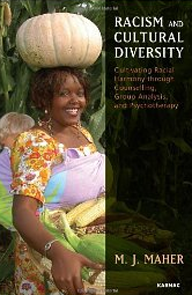 The front cover presents a photograph of an African woman carrying a pumpkin on her head and a white doll wrapped closely to her body symbolizing the journey and content of the book. In the author’s words, “how I carried the baby on my back”. This book clearly shows the impact of colonization on the traditions of psychotherapy, mental health institutions and the individual. This book, presented in an autobiographical style that presents the authors wisdom and experience is a must for researchers, trainers, therapists and professionals in the caring field. This book unlocks the myth and pointlessness of post racism attitudes or illusions about any other post-ism phase. Dalal creates a political discussion and breakdown of the diversity conundrum. The book is dense in parts, yet provides a breakdown of the dynamics and contradictions of multiculturalism. An in depth exploration of the gaps between cultural diversity and equality, multiculturalism and liberalism are explored and the writer identifies what we can learn by examining perceptions and nuances of race and ethnicity. As a follow on from his book on Race Colour and the Process of Radicalisation Dalal produces a skilful breakdown of terminology that offers an understanding of the radicalised identity. Some useful examples of critical analysis of studies on the portrait of the other are presented and Dalal explains the impact on individuals of collective institutional denial, a familiar problem for minority groups. Chapter two is particularly useful in exploring ‘The Vicissitudes of discrimination’ in which the psychology of organisational processes of diversity and institutional attempts to address equalities are explained. 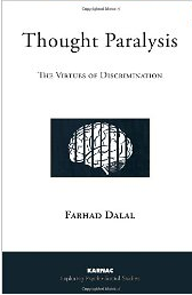 Dalal Comments on psychoanalysts’ difficulty in acknowledging institutional racism and he highlights some useful contradictions about the law, domestic violence, spirituality and human rights. This is a useful text for those reading politics, sociology and the psychology of diversity. Book review by Dr Isha Mckenzie-Mavinga. This book is based on a wealth of knowledge accumulated by the writers in the field of systemic therapy and cultural diversity. The writers address a wide berth of important themes that support both experienced and novices in their facilitation of individuals and relational groups. The book eloquently addresses visible and invisible differences and the attitudes, socio-cultural influences and intergenerational contexts of racism and oppression attached to these areas. Training exercises supporting personal reflection are sensitively presented to help individuals and groups engage with diversity issues. Terms such as ‘cultural literacy’ and ‘cultural naïveté’ are introduced and there are clear descriptions and definitions of related discourses. The essentials of working with refugees, migrants and asylum seeking families and trauma are explained and aspects of religion, spirituality and child rearing practices are brought to the forefront. The book is written empathically with attention to the relational and linguistic inferences that often get marginalised. Although this book slants towards trainers it is a provocative and insightful book, useful for students training at all levels of therapeutic discipline and the caring professions. The book opens with examples of everyday racism and nuances of attack. Davids uses personal experiences and clinical vignettes to explain the nature and dynamics of internal processes initiated by racism. From these issues he skilfully develops a theory of internal racism. His descriptions of racism are raw and cut to the chase leaving no doubt that racism has a huge impact on mind body and spirit. Using Fanon’s work he explains the relationship between the self and the ‘racialised other’ and he addresses the profound anxiety that occurs in the ways that racism becomes normalised. The dynamics between the white or Eurocentric therapist and black client are considered. The impact of projections and introjections is analysed in relation to what he calls the racist organisation. Davids explains the juxtaposition between anti-Semitism and racism in the context of psychoanalytical theories of Freud, Jung and Adler. His work affirms the importance of active responses to the impact of racism. 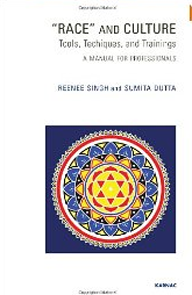 This is clearly a much needed book and a must for the training of therapists and professionals involved in the caring professionals. Some famous names amongst the authors drive the reader through a journey. They talk about power, responsibility, voice, colour, shade, language and many other dimensions of difference. I felt that for me these stories connected with some of my own lived, as well as un-lived, and untold experiences. Some stories echoed the experiences and thoughts within the generation of my elders; their hope and hardships of coming to Britain. 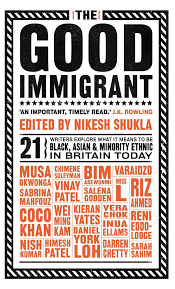 Other stories tell tales of surviving the challenges of being an ethnic minority in Britain; the discovering and re-discovering of the legacies that have been left with us as we move forward in raising the future generation of immigrants and the children of immigrants. I have recently transitioned into being a mother. The chapter by Darren Chetty titled ‘You can’t say that! Stories have to be about White people’, really got me seeking publishers and children’s books where the protagonists were BAME children. When my children read stories, I want them to believe that stories can be about people like them too. As a therapist I feel that these short stories and essays connect us to, and remind us of, some of the strands of experience that we, as much as our clients, live within us. Some strands of these experiences are voiced and others remain as the unsaid in the therapy room.